Time to start the party planning! You’ve just said ‘YES!’ and you’re on your way to saying ‘I DO!’ You’re now wondering what to do next after snapping that ring selfie and Facetiming all your friends and family. All those years of watching wedding movies and obsessing over Pinterest boards have led to this moment. It’s easy to get overwhelmed with the planning process, but don’t stress. There’s plenty of time to make the wedding of your dreams become a reality: the average engagement lasts about a year to a year-and-a-half. 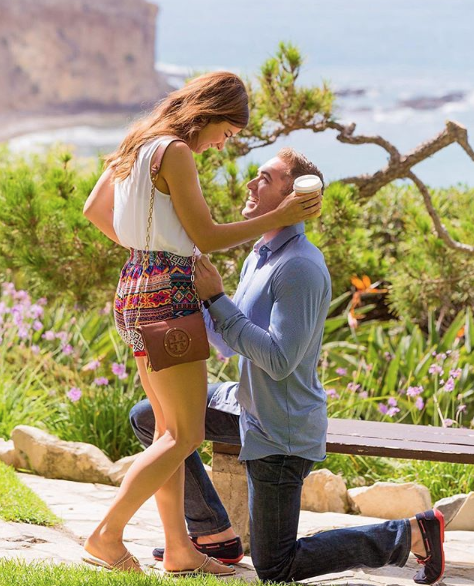 Tackle the following to-do’s so you can say ‘I do,’ stress-free! Mom, Dad, brother, sister, BFFs – whoever is important in your life, give them a ring! Whether it’s on Facetime or a phone call, they’ll appreciate hearing about it directly from you rather than on Instagram. Take it from us – desirable wedding dates and venues get snatched up fast! We’ve accommodated weddings happening right away as well as people who are planning into 2020. Discuss potential dates with your families, and secure it once you decide. Who do you want to be there on your big day? Make sure you and your fiance are on the same page when it comes to your guests. This magic number also helps guide your budget and venue choice, so that’s important to keep in mind. 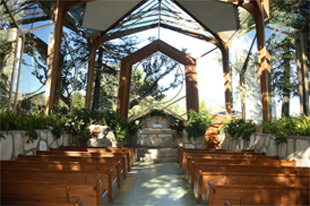 Wayfarers Chapel, for instance, has an occupancy of 100+ your wedding party. Draw inspiration from your own personal style and what you envision for your big day. Compile snippets of decor ideas, bridal fashion and more any way that works best for you: Instagram, Pinterest, a notebook – it all works! How many groomsmen and bridesmaids will you have? MOH or best man? Start thinking about creative ways to make the moment special when you ask them to be a part of the biggest day of your life! Ahh yes. The dress. You don’t have to feel especially rushed in finding THE one, but if you’re interested in a specific designer, check out trunk shows near you where you can score a discount! Enjoy the ride and don’t forget to relax! Go on a weekend getaway with your future spouse-to-be or just spend quality time together. After all, it’s all about you two in the end!